Hi! I have been a dog owner all my life with involvement in obedience, working trials, showing and breeding and grooming dogs, qualified canine massage therapist, and training people to groom dogs - 34 years of experience! Dogs have been really important to me and my family - we can't live without them. At home we have a Border Terrier, a Portuguese Water Dog, and up until very recently a Cavalier King Charles Spaniel and a Giant Schnauzer. Dog grooming is an unregulated industry, but personally, I wouldn't let my dogs be groomed by anyone that I didn't know to be trained, skilled and qualified in what they were doing, and that is what got me interested in grooming as a profession - I didn't want my Border Terrier to be groomed by anyone but me - so I went on a course. I was hooked! I became a dog groomer, and since then I have been on a mission to learn everything I can so that I can provide the best service to both dogs and their owners, and also to teach my grooming students all they need to know about the art and business of dog grooming. I am also trained as a Canine Massage Therapist (with Natalie Lenton of the Canine Massage Therapy Centre). I am an assessor for dogs wishing to join Canine Concern (these are therapy dogs). I am very proud to be a member of Groomers Spotlight, an organisation for professionally qualified dog groomers. I hold current certificates in First Aid for Pets and also for people. 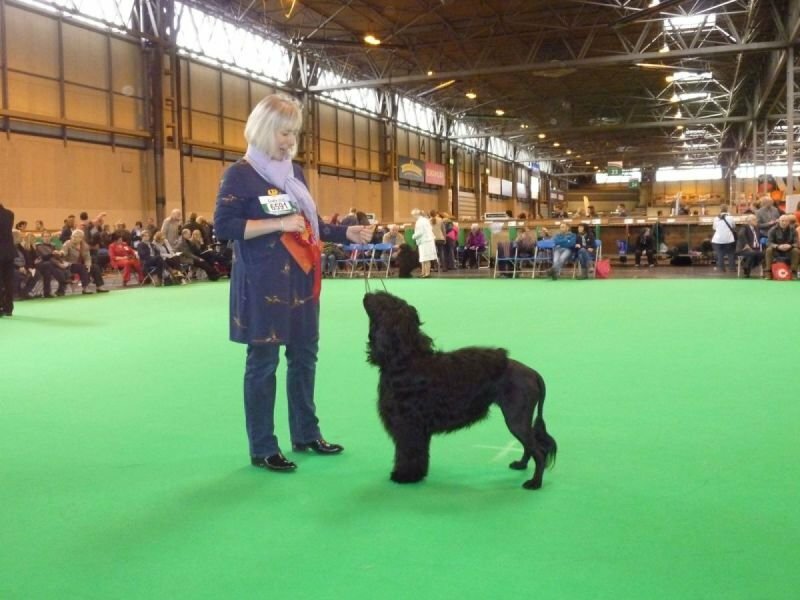 I regularly attend seminars covering a range of different topics in dog grooming or groomer training to keep my skills and knowledge up to date: seminars I have attended in 2018/19 - Labradoodles and Cockerpoos, handstripping terriers and spaniels, asian fusion, bedlington terriers, and of course Crufts. In addition to caring for my lovely dogs, Calypso and Ruby, I enjoy watching Outlander on Prime! and I do like a gin and tonic in the evening!